(Jan. 29, 2007) Farmer from Nora Springs. Ran for U.S. Senate in 2002, but defeated in the primary by Greg Ganske. B.S. in ag. business from Iowa State University, 1995. Former Marine; served in Somalia. (announced Oct. 18, 2007) State president of Iowa Eagle Forum. Retired from the State Legislature in 2004 after serving the 12th Senate District (Rowley) for eight years. Headquarters: 217 Welch Ave., Suite 102, Ames (Salier received the keys Feb. 9, 2007; continued as headquarters through Aug. 2007). (left end of Sept. 2007) Managed Rep. Virgil Goode's (VA-5) re-election in 2006. Worked on state house races for several years in Virginia. B.A. 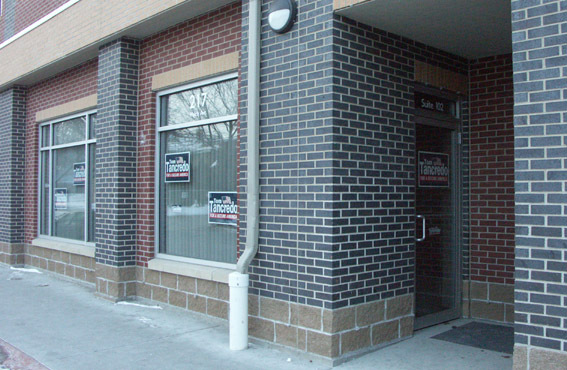 in American politics from University of Virginia, 2002.
a) Tancredo Iowa Headquarters at 217 Welch Ave in Ames on Feb. 10, 2007, one day after Bill Salier received the keys. 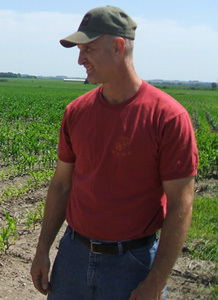 b) Campaign Manager Bill Salier on his farm (June 10, 2007). 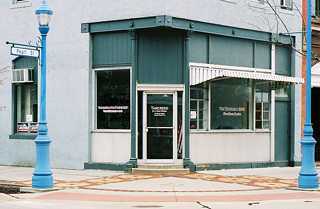 c) Field office at 101 Pearl Street in Council Bluffs on April 13, 2007, the day before official opening. Photos a) and b) courtesy of the Tancredo campaign.